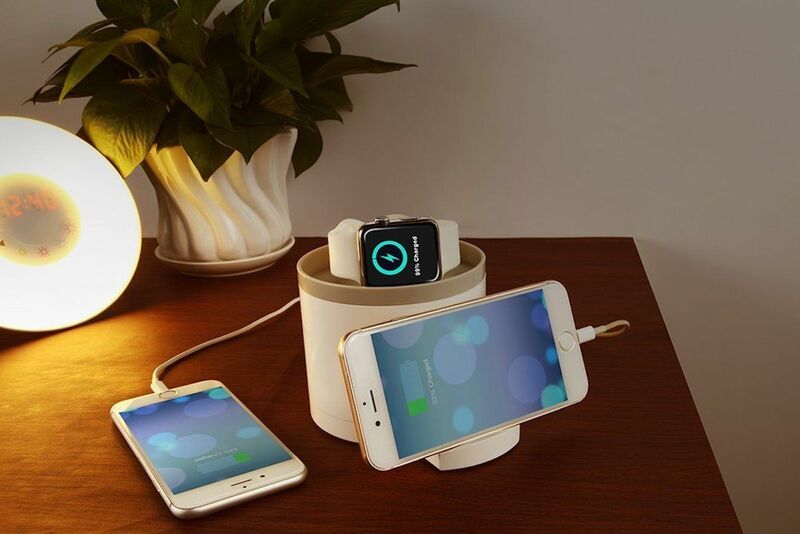 Top up your devices while you recharge at night with the imobi4 Apple Watch Nightstand Charger which has a charging dock at the top. 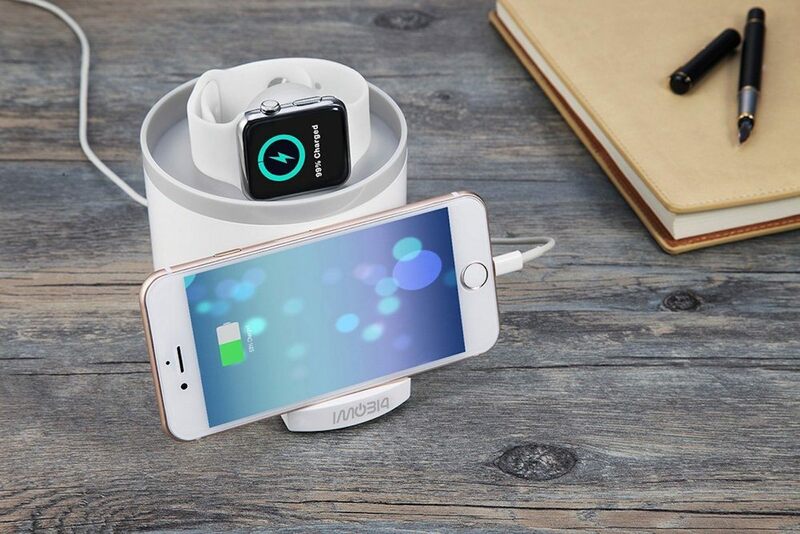 Top up your devices while you recharge at night with the imobi4 Apple Watch Nightstand Charger. 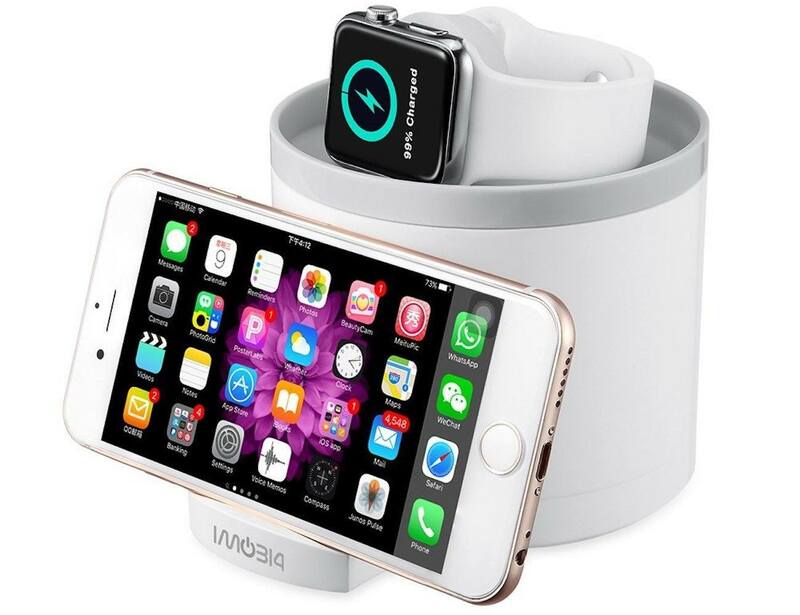 Featuring a charging dock at the top, this system places your smartwatch at the perfect viewing angle with the built-in cable holder. 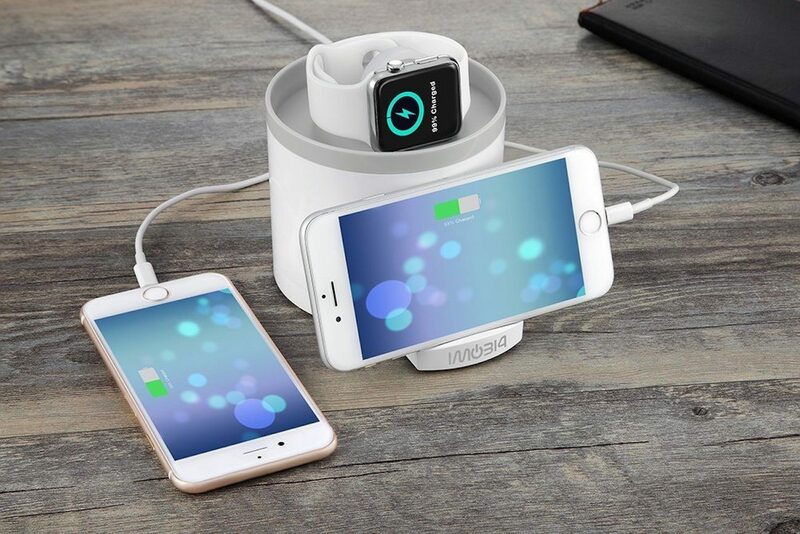 In addition, the imobi4 Charger instantly puts your Apple Watch into Nightstand Mode so you never miss a thing. 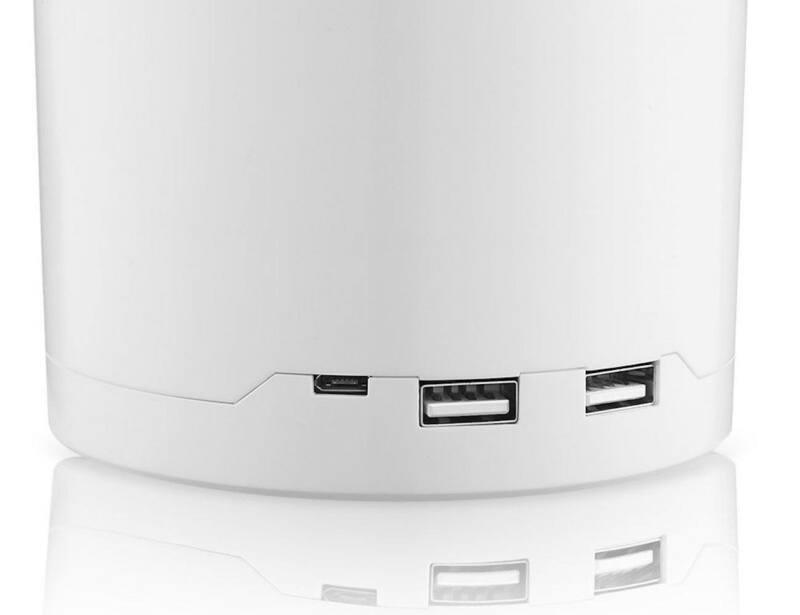 At the bottom of the imobi4 Charger is a sleek stand to hold and charger your smartphone. Additionally, the back of this handy device features two USB ports. 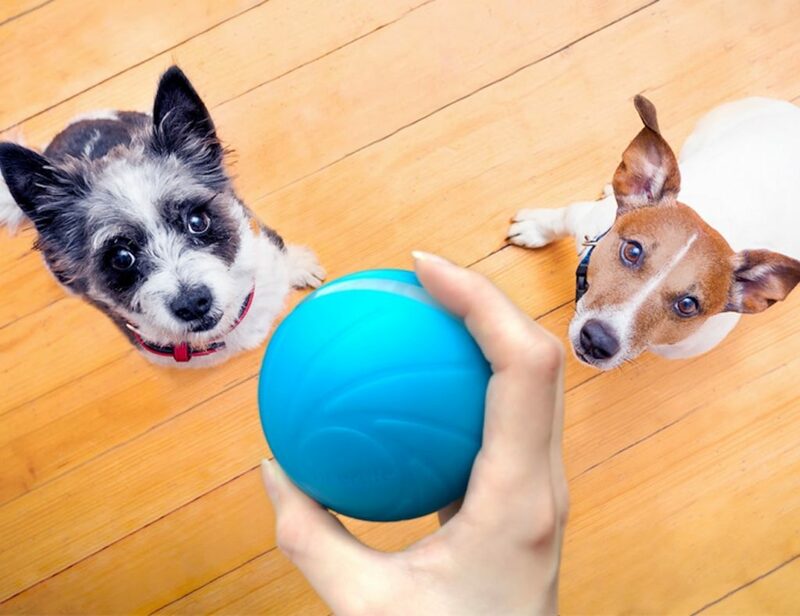 You can use one for your smartphone at the base and use the other port for additional devices. Ideal for the modern gadget lover, the imobi4 puts all of your devices right next to you for the entire night. 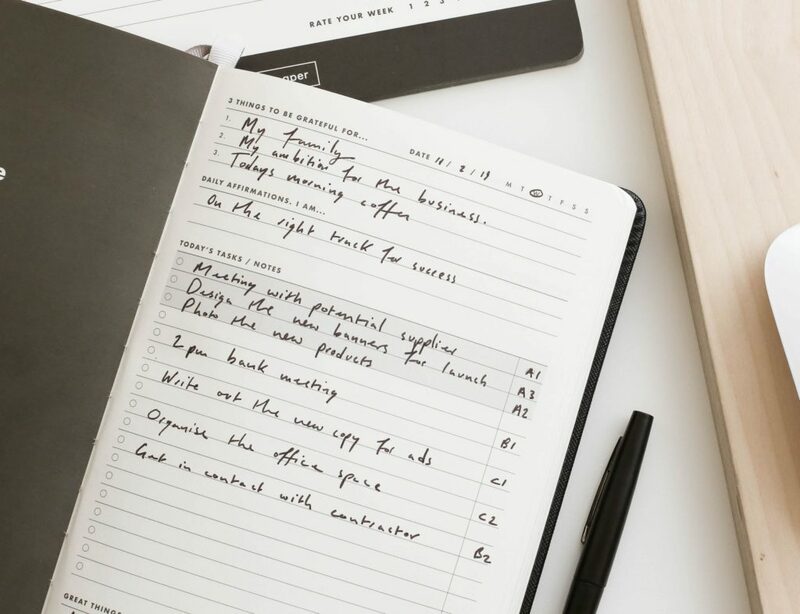 When you wake up, you can enjoy full batteries for all-day use.